Ilya is a computational biologist at the Sabeti Lab. 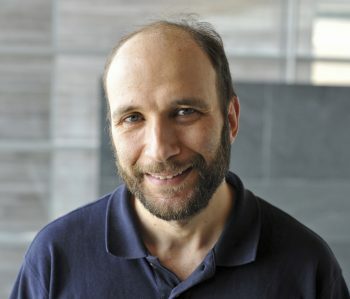 Before joining the lab, he has worked on genome assembly algorithms in the Broad’s Computational Research and Development (CR&D) group. Since joining the lab, he has worked on tools for detecting positive selection, and for efficiently simulating evolution of populations. Click for Ilya’s personal website. Grossman SR, Shlyakhter I, Karlsson EK, Byrne EH, Morales S, Frieden G, Hostetter E, Angelino E, Garber M, Zuk O, Lander ES, Schaffner SF, Sabeti PC. Identifying recent adaptations in large-scale genomic data. Grossman SR, Andersen KG, Shlyakhter I, Tabrizi S, Winnicki S, Yen A, Park DJ, Griesemer D, Karlsson EK, Wong SH, Cabili M, Adegbola RA, Bamezai RN, Hill AV, Vannberg FO, Rinn JL; Genomes Project, Lander ES, Schaffner SF, Sabeti PC. Cosi2: an efficient simulator of exact and approximate coalescent with selection. Shlyakhter I, Sabeti PC, Schaffner SF.